After really thinking and perusing several stitching books, I managed to add one complete flower and start another. This piece really appeals to me and I can spend so much time just dreaming up different approaches to it. A lot of fun, creative time has been expended on just that part alone! The blue centered flower has a satin stitch-padded spot center. Although it appears to be a much simpler stitch, the red/pink surrounding that center is actually a knotted pearl stitch. The petals are done in chain stich to form a little raised ‘rainbow’ type affect for each one. The beginning of the rose is done is with detached herringbone stitches. The darker outline is done with stem stitch. 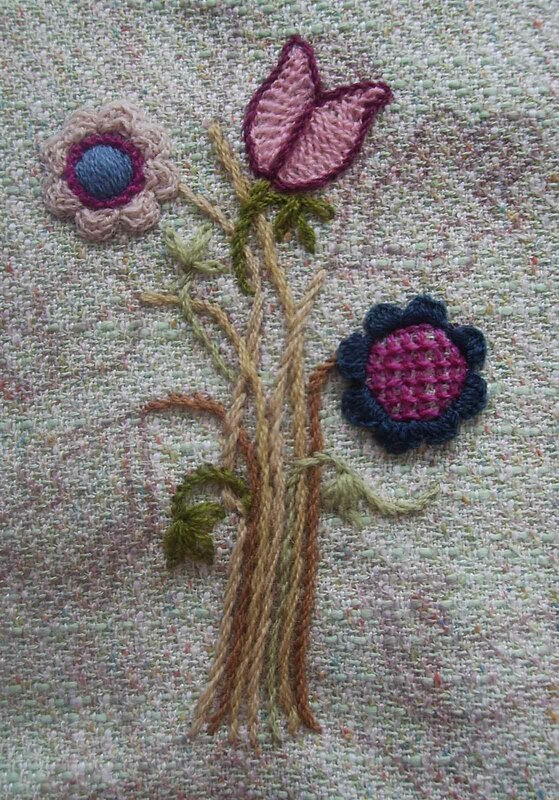 I was planning to fill the bud area in with buttonhole stitches. The flower on the right has been completed too since that last posting. The center is lattice couching using two shades of pink. 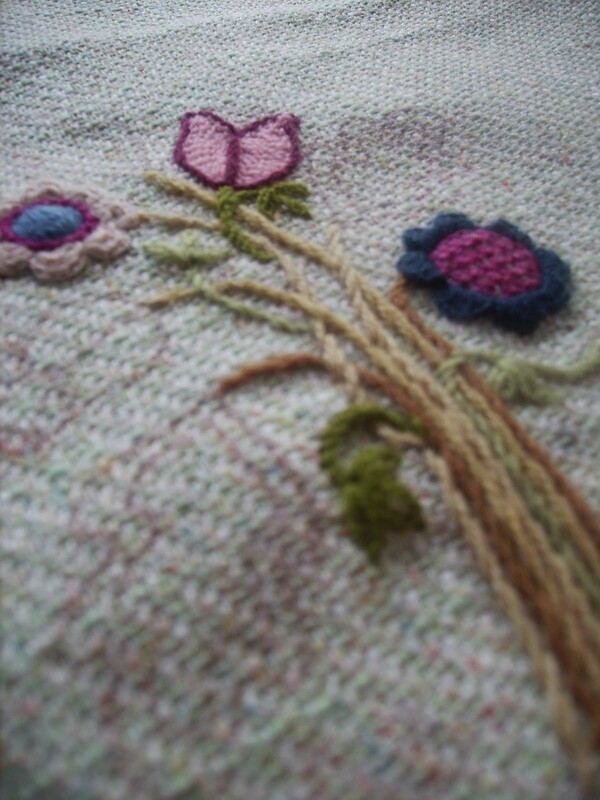 The petals are done with buttonhole stitches in a dark blue. I’m not sure if the second rose will be done up the same as the first. I’m thinking that it need not be. What do you think? Same or different? Any suggestions for the leafy looking design there? Your life needs fun. Go ahead, have some fun!